The 2011 UN High Level Meeting on Non-communicable Diseases – which are the next steps? 2011 was a landmark year for stroke: for the second time in its history, the United Nations General Assembly addressed a medical topic, the non communicable diseases (NCDs). In a unique political event on September 20, global attention was directed to the core NCDs: heart disease, cancer, diabetes, pulmonary diseases – and stroke. The rationale is well known to the members of the World Stroke Organization (WSO): NCDs, including stroke are a major cause of death and long-term disability, patients will substantially increase in numbers, in particular, in low and middle-income countries. This cluster of diseases will become a serious threat to global development and economy. The NCDs share many risk factors, and also have in common, the huge potential for prevention. Population-based actions on lifestyle factors as well as individual-based prevention targeting high-risk individuals constitute the “best buys” which a globally acceptable. If actions are not taken at this point in time, the situation will rapidly worsen. If you think prevention is costly, try disease. The UN meeting adopted the political declaration, which along with other documents can be read at httpss://ncdalliance.org/node/3521 The declaration is important in putting NCDs firmly on the political agendas of member states, but will the declaration change the future magnitude and course of NCDs? What will happen next? Key work, currently ongoing, is the development of global and national NCD targets which can be used to set-up plans of actions and to measure progress. On December 15, 2011, the World Health Organization (WHO) hosted a civil society consultation in Geneva starting up this process . These targets will be further discussed at the May 2012 World Health Assembly, and subsequently, at the January 2013 WHO Executive Board. In 2013, a UN Summit meeting will review the Millennium Development Goals (MDGs). NCDs should be high on the agenda, and a long term goal is that NCDs should be included in the post-2015 UN Development Goals Framework. As the only stroke-specific NGO in official relations with the WHO, WSO will be much engaged in this important work. 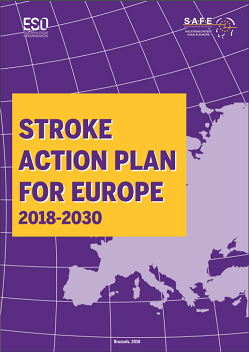 Several of the core functions of the WSO act in synergy to improve the stroke case: the policy actions, the education activities, the World Stroke Day/World Stroke Campaign, the journal, the congresses – and much more. WSO developed an excellent platform to actively influence the global stroke scene for the years to come. As members of the WSO, I urge you all to actively engage in this process – you can contribute in several ways. All health care providers in the stroke field should be aware of the bigger picture – even if many of us work with stroke patients in a limited segment of the chain of care (e.g., acute stroke, or in rehabilitation), we should all recognize the potential for prevention and join hands with other actors in the medical field with similar aims. 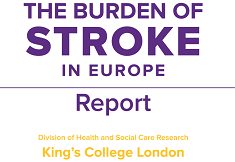 We should exert pressure and inform decision makers and politicians on the stroke case, since governmental actions are crucially important to prevent stroke and to improve acute and long-term services. We should be active in public advocacy and education. We should take leadership roles whenever opportunities arise – the importance of strong leaders is crucial. 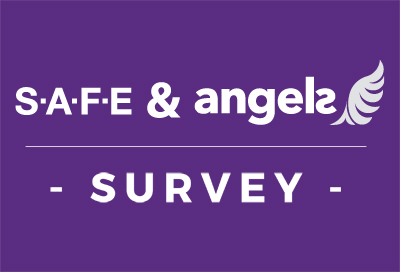 I trust you all share my enthusiasm and commitment to work with the WSO to change the global stroke scene – this is a unique opportunity that should not be missed. For further information, please visit World Stroke Campaign web site.